Shivani Dugar, My Milos, Oil on Canvas, 24 × 24 in. Shivani Dugar’s My Milos makes a big impact in this petite space under the stairs. 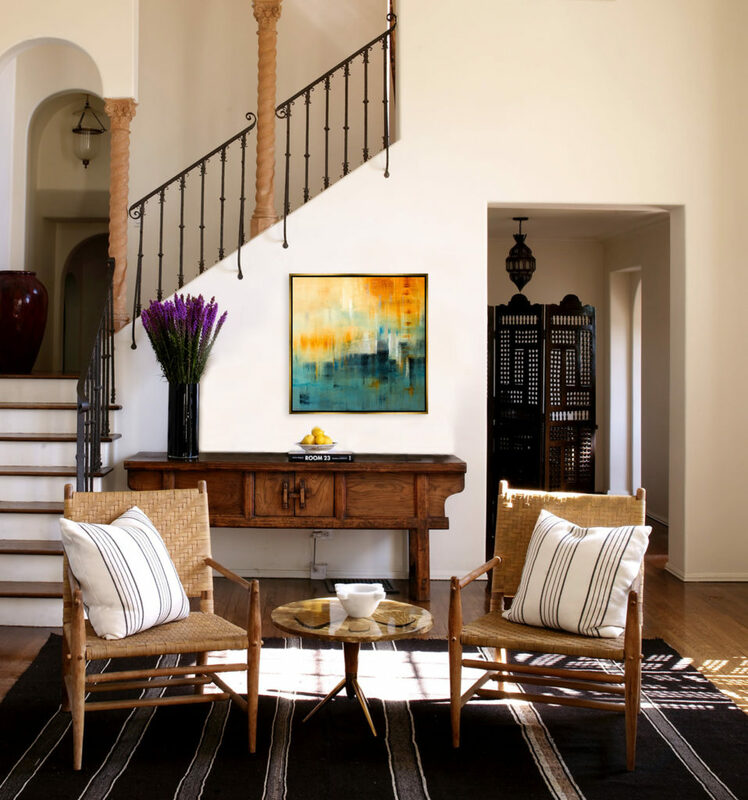 Layered and dynamic, the oil on canvas piece supplements the romantic details of the foyer. The Moroccan inspired interior comes to life with Dugar’s warm color palette and textured brush strokes. 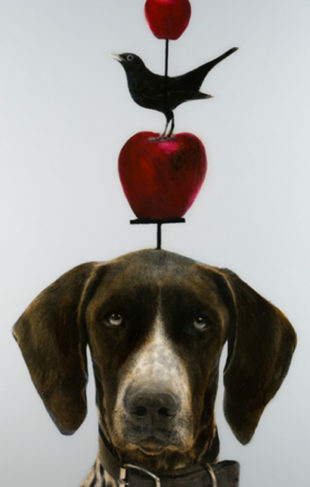 To see Dugar’s work in person, visit the gallery closest to you.